View More In Portable Speakers & Docks. With MIC, hands free function while under Bluetooth connection to mobile phones. 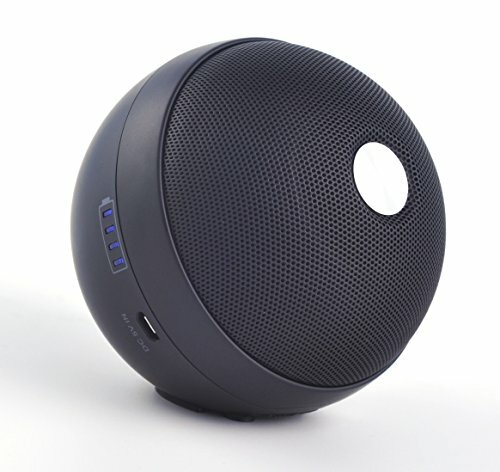 High power output 9W Bluetooth Speakers and Enhanced BASS Resonator, wireless USB adapter to connect PC, Notebook, You can play music from your PC. Use it as your PC audio entertainment system. Built-in 2000mAh Rechargeable Lithium Battery for up to 3 hours playtime. Built-in microphone for Hands-Free speaker phone calling. The elegant Portable Ball Wireless Speakers design, in classic simplicity, which fit to home fantastically, plus the compact and sleek high-quality offer you the beautiful enjoying not only for ears but also for eyes! If you have any questions about this product by Leting, contact us by completing and submitting the form below. If you are looking for a specif part number, please include it with your message.